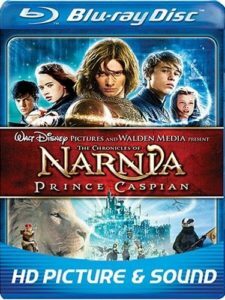 Return to Narnia on DVD and Blu-ray Disc! Toastie: Highlight “Big Movie Comes to Small Town” and navigate RIGHT. Blonde Cam: Highlight “Big Movie Comes to Small Town” and navigate LEFT. Sibling RivalryHighlight “Talking Animals and Walking Trees” and navigate LEFT. Shane Rangi: Highlight “Warwick Davis: The Man Behind Nikabrik” and navigate RIGHT. K.C. Hodenfield: Highlight “Warwick Davis: The Man Behind Nikabrik” and navigate LEFT. Blonde Cam: Highlight “Setup” and navigate DOWN. K.C. 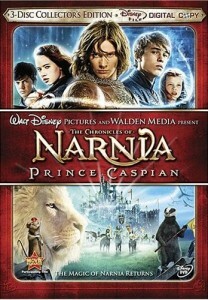 Hodenfield: Highlight “Inside Narnia” and navigate RIGHT. 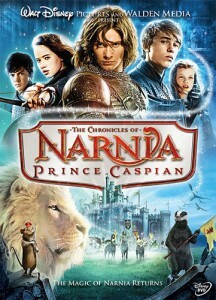 Monster Cam: Highlight “Previsualizing Narnia” and navigate RIGHT. Shane Rangi: Highlight “Talking Animals and Walking Trees” and navigate RIGHT. Toastie: Select “Deleted Scenes,” highlight “Play All” and navigate RIGHT. Sibling Rivalry: Highlight “Secrets of the Duel” and navigate RIGHT. 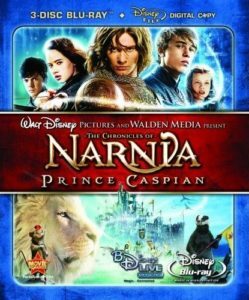 An extra disc that contains a digital file of the movie (not in HD) that can be downloaded to your computer or portable media device (such as an iPod). The main attraction to the Blu-ray Disc is that it presents both the movie and the extras in High Definition. A Blu-ray Disc can store five times as much information as a DVD, and this results in far superior video and audio quality.